Middle Eastern airlines’ freight volumes expanded 1.7 per cent in November 2018 compared to the same period a year earlier, said the International Air Transport Association (Iata) in its report for global air freight markets. Capacity increased by 7.8 per cent over the same period. Seasonally-adjusted international air cargo demand has now trended upwards for the past six months helped by stronger trade to/from Europe and Asia. 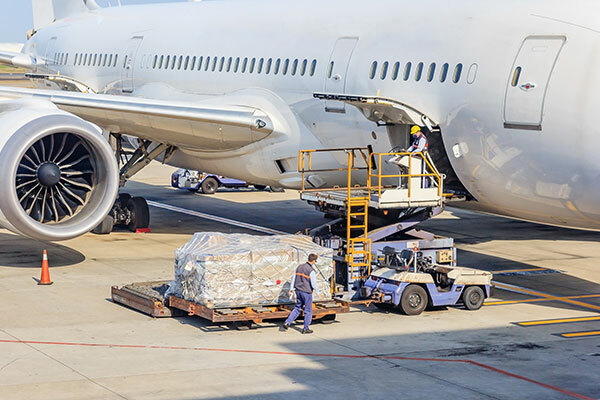 African carriers saw freight demand decrease by 7.8 per cent in November 2018, compared to the same month in 2017. This was the eighth time in nine months that demand contracted. Capacity shrank 7.4 per cent year-on-year. Demand conditions on all key markets to and from Africa remain weak. Seasonally-adjusted international freight volumes are 7 per cent lower than their peak in mid-2017, nonetheless, they are still 28 per cent higher than their most recent trough in late-2015. Globally, air freight demand, measured in freight tonne kilometres (FTKs), was flat (0 per cent) in November 2018, compared to the same period the year before. This was the slowest rate of growth recorded since March 2016, following 31 consecutive months of year-on-year increases. Freight capacity, measured in available freight tonne kilometres (AFTKs), rose by 4.3 per cent year-on-year in November 2018. This was the ninth month in a row that capacity growth outstripped demand. • Weakened consumer confidence compared to very high levels at the beginning of 2018. “Normally the fourth quarter is a peak season for air cargo. So essentially flat growth in November is a big disappointment. While our outlook is for 3.7 per cent demand growth in 2019, downside risks are mounting. Trade tensions are cause for great concern. We need governments to focus on enabling growth through trade, not barricading their borders through punitive tariffs,” said Alexandre de Juniac, Iata’s director general and CEO. Three of the six regions reported year-on-year demand growth in November 2018 – North America, Middle East and Latin America. Asia Pacific, Europe and Africa all contracted. Asia-Pacific airlines saw demand for air freight shrink by 2.3 per cent in November 2018, compared to the same period in 2017, while North American airlines posted the fastest growth of any region for the second consecutive month in November 2018 with an increase in demand of 3.1 per cent compared to the same period a year earlier. European airlines experienced a contraction in freight demand of -0.2 per cent in November 2018 compared to the same period a year earlier.